Students WANT to read books that are interesting to them. 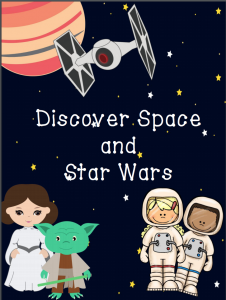 If you have a child or student who loves Star Wars as much as I do (and that’s A LOT! ), using these books as an initial book discussion always works well. They are geared to upper elementary to middle school students so there is a wide age range of students that would enjoy these books. This book the original first book in the Jedi Quest series, which follows the story of Anakin Skywalk from the time he is 14 until he is 17 – the years between the Episode I and II in the movies. Through these books, the reader learns of the small events that eventually take Anakin from a sweet, little boy who helps everyone to the most feared villain in the Star Wars Universe. In this particular book, Anakin and Obi-Wan are joined with three other Knight/Padawan teams to go to a planet that is in the midst of a toxic environmental crisis. The Padawans, without their masters, must discover who is behind the crisis. However, there is tension between Anakin and Ferus. Can they put aside their differences in order to save the planet from invasion? Why would you want to hold a book discussion? A book discussion is a great way to help children develop literacy skills and to have an open forum for discussion of important issues. By reading in preparation for the discussion session, children will read more fluently and with expression. Through the discussion session, children will establish a deeper understanding of the text. Book discussions also help children practice turn-taking, and provide them with the opportunity to use a variety of language skills, and make predictions and solve problems. How will our book discussion help you? Our book discussion packets help you by having almost all that you need for the event. They include tips that Christine has learned over the decades that help you engage your child or students. It also includes vocabulary and questions to give to the reader prior to reading. Discussion questions are done in a card format so you can pick and choose what questions to use. However, Christine likes to put the cards in a bowl and let the readers pick! In addition, there is a short comprehension and vocabulary test along with answer keys. 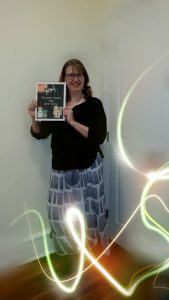 Want to ask questions about book discussion? If you want to ask questions, please join any of our Facebook groups! We are happy to help with this or any other questions you may have about engaging children!